May 7, 2015, 7:19 AM · Video game giant Nintendo and Universal Parks & Resorts today announced a partnership that will allow Universal to bring Nintendo-themed attractions to Universal Studios theme parks worldwide. Nintendo has created remarkable and imaginative worlds filled with captivating stories and beloved characters. Now, for the first time, those stories and characters will be brought to life in entirely new ways—only at Universal theme parks. The immersive experiences will include major attractions at Universal’s theme parks and will feature Nintendo’s most famous characters and games. Founded in Japan in the late nineteenth century as a playing card company, Nintendo got into the video game business in the 1970s. Its franchises include Pokemon, Mario Bros., The Legend of Zelda, and Donkey Kong. Creators of the Wii console, Nintendo today trails Sony and Microsoft in sales of home console units, but its games are considered to skew more family friendly than the first-person shooter games more popular on PlayStation and XBox. The deal with Universal allows the two companies to develop three-dimensional, interactive experiences in theme park settings that recreate and potentially advance the characters, settings, situations and narratives made popular in Nintendo's games. 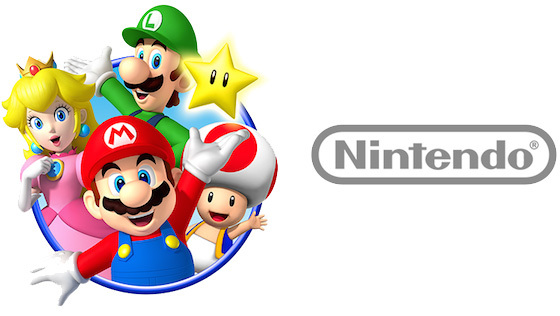 Which Nintendo properties would you like to see in a Universal theme park, and where? Update: A few thoughts: A Nintendo-themed attraction demands interactivity. A passive experience where guests sit on a ride or in a show won't satisfy that audience, which is conditioned to engage with these themes. A successful Nintendo-themed attraction cannot offer identical experiences on each visit, either. Furthermore, it ought to reward repeat visits, as a game rewards its player for his or her experience with the game. That creates additional challenges for designers that they don't necessarily face with other IPs. The flip side is the inherent potential of having attractions that will remain fresh for audiences longer than those from IPs which would lend themselves to more static experiences. Finally, while Universal has abundant space to play with (well, relatively) in Orlando and Japan, space is tight in Hollywood and especially so in Singapore. That's another issue for Universal Creative... and for fans who love to imagine what Universal Creative will do. May 7, 2015 at 7:42 AM · Lost continent should really be what goes, Sinbad seems really dated although I think they're doing a minor refurb currently. Poseidon is also fun but dated now as well, that's a pretty sizable chunk of park that could do very well with a rebrand. The only problem is directing traffic during renovation, when Harry Potter is really busy things get tight. May 7, 2015 at 7:45 AM · I think they should replace Toon Lagoon, but worry that they will replace their Marvel area of the park as Disney keeps taking over more and more Marvel. May 7, 2015 at 7:48 AM · Going to replace KidZone and the plot of land behind MIB/Simpsons. May 7, 2015 at 8:12 AM · Fabulous news. More marketable characters and new attractions incoming. Love the constant changes and new things being added to Universal. May 7, 2015 at 8:13 AM · The creation of original theme park attractions not connected to a pre-existing intellectual property is in its final death throes. Where has creativity gone? I guess folks would rather feel safe and coddled with something familiar than experience anything new. I understand that money is an issue and risking millions on an unproven concept is chancy but that didn't stop the creation of all-time classics like Pirates of the Caribbean and the Haunted Mansion at Disneylan, the Calico Mine Train and the Log Ride at Knott's Berry Farm. Knoebel's Haunted Mansion, Noah's Ark at Kennywood. The creation of theme park attractions is an art form, just like literature, film and music. It needs to be treated as such; it needs visionaries, not corporate shills. Rides that tie-in with films, television programs and such can be wonderful-- the Indiana Jones Adventure is a fantastic example-- but I'm sick of them. Which theme park will be next to shock us with the new? May 7, 2015 at 8:28 AM · Lots of good places in Orlando it could go, it's really hard to pick. I'd go with something that meshes well with the areas around it. So, Toon Lagoon or KidZone. May 7, 2015 at 8:37 AM · Kid Zone...Not sure what the hate is for Toon Lagoon?? Has two great rides, good food and a festive atmosphere. They just need another cool ride to replace that theatre. May 7, 2015 at 8:52 AM · Should definitely replace KidZone. I'd like to see a Zelda themed dark ride or water ride (Wind Waker; King of Red Lions is basically tailor-made to be a ride vehicle). I think they can re-skin Woody Woodpecker to a Yoshi theme, complete with coins to "collect" (classic Mario coin noise on-ride). They would obviously have to have a Mario attraction of some sort too. There's a ton you can work with - just recreate the game NintendoLand and you can have a Top 10 park, in my opinion. May 7, 2015 at 8:58 AM · Years ago I was on assignment in London and I went to Sega World. . . it was like a variation of Disney Quest. It was fantastic! What about a Sega World/Disney Quest kind of structure in City Walk? Maybe in the old Nascar Cafe. . .
May 7, 2015 at 9:10 AM · Please give me a Legend of Zelda experience. PLEASE. May 7, 2015 at 9:10 AM · Do kids care much about Nintendo? Nonetheless, Disney made some movies that suggested the Nintendo look. This is still a good move for Universal, which sort of suggests that any expansion with DreamWorks Animation is dead for now. May 7, 2015 at 9:10 AM · You all are thinking too small. I'm putting my money on a 3rd gate. With the new water park to soon close down wet and wild, there's plenty of space on that plot of land for a 3rd gate. A whole park to Nintendo world would be pretty cool, plenty of possibilities for attractions of all kinds for all ages, rather than cram it all in one section and have a "best of Nintendo" ride a la simulator, as if universal needs more of those. May 7, 2015 at 9:11 AM · Nintendo, the Disney of video games, has a multitude of franchises that could fit in various parts of Universal's parks. From the crazy popular Pokemon, to obviously Super Mario. They have plenty of ways to bring children's franchises to the park. But there's also Legend of Zelda and Metroid, which are geared towards the younger adult crowd. If I could see Mario and Pokemon taking up Kidzone, I could also see Zelda and Metroid taking up Marvel. I really hope Universal doesn't screw up this HUGE opportunity. May 7, 2015 at 9:31 AM · TH, Twister is slotted for replacement. Should start work at the end of the year. But KidZone is a relic that needs to be replaced with big, people drawing additions. And the unused plot behind MIB/Springfield could hold a lot. May 7, 2015 at 9:37 AM · If they were going to replace toon lagoon, I'd like to think they would have started doing so already to have a bigger King Kong attraction area. Think they'll do a whole themed land? Between MIB and Simpsons land/space wise makes sense. The Twister ride needs to go - that whole "New York" area doesn't seem like it generates any traffic, but that's pretty classic Universal Studios there. Personally, I'm with everyone that believes the Lost Continent is expendable, but I don't expect it will happen, not with a critically acclaimed 5-star restaurant falling within the theme of the area. Whatever they do, I can't wait to see what it is (as long as it's not just a simple, single 3D Transformers/Spider-Man ride). May 7, 2015 at 10:20 AM · This is yet another game changer for Universal. The one thing they haven't had was iconic characters. Woody Woodpecker anyone? The Minions are close, but Mario and gang fit the bill to compete with Mickey Mouse. May 7, 2015 at 10:27 AM · Great news! Personally I would love to see an entire Nintendo Park, but will take what I can get. KidZone, Toon Lagoon, Marvel.... Any of these three areas could be replaced with attractions based on these classic games, but KidZone probably needs it most. Regardless of where the attractions go, it's "Mario Time!" - A castle hub themed around Princess Peach's castle. A zone similar to Fantasyland with small rides based on the Mario franchise. Mario Party Carousel. Super Mario Bros 3 dark ride. Princess meet-and-greet (Peach, Daisy, Rosalina). Toad themed rides. - Legend of Zelda Castle with a large e-ticket ride. Hyrule castle marketplace. Bow and arrow shooting range, boat ride, train roller coaster. - Donkey Kong Country with a raft ride and a mine cart coaster. - Space Zone with rides based on Star Fox, Metroid, and F-Zero. I'd have a coaster for each, but also an interactive shooting ride a la Toy Story Midway Mania. - Gotta do something with Pokemon, but I'm not sure what at the moment, because they keep adding monsters. May 7, 2015 at 11:20 AM · Pardon me for exposing my inner nerd, but I'd like to see the Curious George play area get rebranded as a Super Mario Sunshine play area, granted the spot we're agreeing on ends up being where UOS goes with. It seems like a perfect match in my mind. Also James, I was just thinking to myself about that too. It seems like an in-line joke they'd make, similar to Dudley Do Right and the Simpsons. May 7, 2015 at 11:22 AM · I think 159.26.248.228 is on to something. No guarantee this will actually be a land or rides in the theme parks themselves. It could mean Universal's version of DisneyQuest in City Walk, with all Nintendo characters and themes. Like Robert said, attractions based on video games need to be completely interactive. A DisneyQuest style attraction would accomplish this. Unless Universal goes with completely new ride systems (which is certainly possible), the only truly interactive and always changing rides are shoot em ups like Toy Story Mania. Universal already has MIB. That said, I would love to see them build actual rides in the parks, even if they are not all completely interactive. KidZone would be a great spot, although I too wish they would keep E.T., that won't happen. Too big of a show building not to work into a new Nintendo land. They would just have to make sure the rides are still family friendly, since that is the only family friendly land in the park. I would love to see a Mario Kart ride that combines some of the best tracks from the game, a Zelda dark ride, a Super Smash Brothers stunt show, a Yoshi kiddie coaster, and some sort of 4D interactive Pokemon ride where you have to collect as many pokemon as possible. This could be a new experience each time because they could change up which characters are in the ride, and each time you may find new hidden characters. Donkey Kong was one of my favorites growing up, so I'd love to see that incorporated too. Maybe a playground. May 7, 2015 at 11:27 AM · Thoughts on a Mario Kart Ride. Ideally, I would want to re-create the game experience as much as possible. So my initial thought was to have bumper cars on a track with "items" that can be collected and dropped onto the track. My other thought was to have it be more of a dark ride using a trackless system. Twelve "karts" holding up to 4 persons race along various tracks from the game, with a randomized route for each group of riders. This could also involve items where you have mushroom speed boosts, banana wipeouts, karts "bumping" into one another. I'm also thinking instead of having 3 laps with one theme on the ride, to have a cup like in the game. Three or four different themed sections of the track with a race re-start at each theme change. The first section would be Mario Circuit and the last would be Rainbow Road for sure, but I'm not sure what should go in between. I'm just not sure if you'd get the best sense of speed with either idea, but Mario Kart isn't necessarily just about speed. I think I like the trackless system idea better, because Universal could handle crowd control much better. May 7, 2015 at 11:40 AM · So what's tomorrows announcement.......Universal buys Disney and fires Mickey Mouse?????? Universal is well on it's way to be the dominate theme park of all time!! May 7, 2015 at 12:06 PM · Think of the way Disney Quest gives you complete virtual reality experiences that could easily translate into attractions based on your favorite Nintendo games. . . What if you could put on a helmet and be completely immersed in a cartoon video game world. . . everywhere you turn, you'd be right in the middle of the game. A Universal version of an updated Disney Quest 1/2 day experience would really round out the offerings at the Universal Orlando Resort. I love the Disney Quest attraction where 4 of you are in a pod trying to rescue colonists form space aliens. . . that all translates so easily into an virtual reality video game ride. My vote is for a giant indoor Nintendo World at City Walk!! May 7, 2015 at 12:08 PM · Them is fighting words, TH.... Twister, although just a walk through / simulator is still one of my all time favorites. May 7, 2015 at 12:31 PM · Long time lurker, had to weigh in on this. As a theme park and video game fan (particularly Nintendo franchises), I hope I'm wrong, but I think this deal is Uni's answer to updating Woody Woodpecker's KidZone. Right or wrong, Nintendo has a reputation for putting out "kiddie" games. And, let's face it, not many kids today can connect with Woody Woodpecker and pals. This also plays into the "interactivity" point that Robert makes. Kids' attractions usually have more of a hands on bent to them. I hope they do more with it. I personally think that the Nintendo franchises (Mario, Zelda, Metroid, etc) have a wealth of themes that could fit just about any ride type. Like another commenter said, I hope they use the license to refresh one of the areas that I don't feel quite connect with people - my choices would be Toon Lagoon or Lost Continent. To those of you that are hoping (or dreading) that this is going to replace Superhero Island, I wouldn't be willing to bet that Disney has ponied up the cash to make that happen just yet. My gut says the Woodpecker is getting bounced. I hope I'm wrong, because, in my opinion, it would be a waste of potential. May 7, 2015 at 12:42 PM · I understand Universal charges Helen Hunt to park that truck in the queue area. May 7, 2015 at 12:51 PM · Bill, it is going to replace KidZone. With that being said, no need to fret. Universal's going to do this right. It won't be a "kiddy" area, but it will be a "family" area. Big difference. May 7, 2015 at 12:51 PM · I hate to Disappoint but a 3rd gate is most definitely not going to happen anytime soon. When Wet and Wild closes, it's going to be another hotel going there, possibly 2 more if they can fit it. As for where to put Nintendo, I'm all for replacing Toon Lagoon as well. It's nice but none of the younger people going to the parks know any of those characters anymore (except for Popeye, maybe). Nintendo brings Mario. Even if we don't talk about how much potential comes from characters like Pokemon, the Legend of Zelda, or any of the others names familiar to hundreds of millions world wide, the name recognition of Mario alone is priceless. I realize for some of you that video games might not be your thing so let me say, Mario is to video games what Mickey Mouse was to cartoons. He is the poster child for the industry, loved by generations, and just like Mickey after 30-40 years, he is only getting bigger. Nintendo could also be the first to figure out the new trend we are seeing in theme parks that involve guest interaction through games. We want to do more with what we have. Games can exist in the places we cannot build attractions. Games can also let the park manage the people in the park without directly "herding" them. Nintendo might bring the answer the industry is looking for. It might be like the Sorcerers of Magic Kingdom card game, Legendary Truth alternate reality game at Halloween Horror Nights, Kim Possible World Showcase Adventure in Epcot, or just interactive wands in the Wizarding World of Harry Potter. It could be completely new and use a technology we haven't tried yet. The advantage for Nintendo is that they have been making games for longer than Disney has been in business let alone theme parks. My point is that this is a huge announcement because of it's infinite potential. This will be successful just because it's Nintendo. Smile everyone. There is so much to look forward to! May 7, 2015 at 1:35 PM · I'm going to play Devil's advocate here and say that Universal should take a Disney length of time to build Nintendo attractions. The reason why Nintendo is such a huge video game giant is that most of their games truly push the limit of what video games can do. And guess how long it takes them to make a new game? That also kind of ties into what Robert is saying about being immersive. Video game fans are 100 times more crazy than both cinema fans and literary fans combined! You dare not properly represent their beloved childhood franchises, and they will attack you like an army of rabid dogs! So they're going to need as much time as they need to get this done right. Besides, Universal has other stuff in the works such as King Kong to keep us company, so why rush it? Meanwhile, the imagineers are probably trying to really push out some Star Wars and Marvel attractions. May 7, 2015 at 1:35 PM · @Sean: I have faith in Universal Creative. The work they've done in the last bunch of years with Potter and even the Simpsons shows that they swing for the fences with most of their projects. I'm just hoping that it's not a straight up re-skin of the existing attractions in KidZone. Sure, you could slap some Nintendo themes on the stuff there and call it a day. I'm just hoping that it is an expansion instead of just an update. May 7, 2015 at 3:10 PM · @the anon poster who wrote: "The advantage for Nintendo is that they have been making games for longer than Disney has been in business let alone theme parks." While I don't think the archaic card games Nintendo was making back in the late 1800's have any relevance in today's theme park industry, at least you had me intrigued enough to look up the company's history! Interesting stuff. And they obviously know a thing or two about game-making! As an avid video game player, I realize that the world of nintendo has a lot of potential. Universal's top priorities should be Mario and Pokemon, Nintendo's two most popular franchises. Yeah, I know. I do hope Universal Creative is able to create floating brick blocks in the new area that I can bump with my fist and gather gold coins. Probably won't happen though. May 7, 2015 at 4:51 PM · Super exciting. I grew up with Nintendo and always for years thought it would be perfect for a theme park. Super excited about this! May 7, 2015 at 6:39 PM · I must say this was far from my mind, but this is some exciting news! I'm definitely a fan of all things Nintendo. This can be very cool because like you said, it demands interactivity. It can either be amazing or a let down, and the way Universal has been making some quality entertainment, I expect it to be the former. I look forward to hearing more. May 7, 2015 at 8:45 PM · I believe this could be utilized for the planned Okinawa Universal project, which was announced not so long ago. I Respond: That's just adorable. May 8, 2015 at 4:28 AM · I don't know how they would make it but I wanna be Able to race and use items in a Mario kart experience and maybe like a super smash bros show or something that's live action mixed with animation , like a combination of the terminator show at universal with mickeys phillar Magic at mk. May 8, 2015 at 5:56 AM · Where is the Marvel Island replacement coming from? The Marvel/Uni deal for Florida and Japan is so stacked in Universal's favor they would be insane to give it up. The rumors of Marvel island getting upgrades and expanding seem more likely. Nintendo is at least replacing KidZone. You make a fair point. On a personal note, I enjoy your articles and look forward to reading more. Keep up the great work Robert and everyone at TPI! May 8, 2015 at 7:29 AM · FWIW, the Okinawa project will not be Universal branded, or include any Universal-licensed IP. May 8, 2015 at 9:13 AM · Whether or not they decide to make Nintendo part of the Okinawa Project, Universal Creative needs to add Nintendo to Japan! Since Nintendo is a Japanese property, I think it's appropriate for the people there to enjoy an attraction at a major theme park that actually originates from their culture. Universal? Best theme park ever? Of course! After all, Universal does have absolutely flawless landscaping and theming, hiding all the actual show buildings and employee parking lots, trains their employees to ensure that each and every guest enjoys their experience, and that builds every type of theme park ride out in order to please as many demographics as possible, instead of just one, specific demographic, all of which featuring innovative effects and storytelling due to the fact that they actually take time to build said rides instead of rushing them but still work at a quick-enough pace so that new attractions aren't half a decade in-between. Not only that, but they feature truly timeless characters that have been loved by generations of people and will probably be enjoyed by many more generations to come. Y'know, instead of just whatever's popular at the time. Oh no, wait, that's Disney World. May 8, 2015 at 10:10 AM · Nintendo is initially going into the Studios park, not IOA. As Sean Huckel , prominent Universal insider said, it'll be KidZone & possibly also the MIB/Simpsons empty area. Those two areas combined are more than twice the size of Diagon Alley. Lots of room for the Nintendo expansion. Sean's info is generally very reliable. May 8, 2015 at 10:45 AM · Orlando, Orlando, Orlando...What about at Universal Hollywood? Where would be the best fit for a Nintendo land in Cali? Possibly the Lower Lot? May 8, 2015 at 5:02 PM · "What about at Universal Hollywood? Where would be the best place for a Nintendo land in Cali?" Sadly, nowhere. Like Robert said, the area is a little too small. Also, don't forget that Universal Hollywood is a film studio as well as a theme park. So,as much as I'd hate to say it, it's probably best to keep Mario and Pikachu out of L.A.
May 9, 2015 at 11:27 PM · This really is huge news no matter where the attractions end up. This is the kind of IP that Universal has always needed. Simpsons skews to a much older audience now, but Mario in particular keeps refreshing with the younger generation. It's a great time for Uni to get it too, since they have the money and the skills to do a good job of it. Fingers crossed that they will! May 10, 2015 at 9:33 AM · The only way Universal Hollywood could ever expand is if they somehow acquired the Lakeside golf course which is directly north of the studio lot. But I'd imagine that it would cost a fortune. Uni hollywood will never have the size necessary to be any competition to disneyland. 1) Universal's eventual goal is to turn the Orlando "Disney Vacation" into the "Universal Vacation". While I don't believe this is going to happen in the forseeable future if ever, of course it wants a part of Disney's success, and Disney's model works. People show up, and don't have to leave their property until they go home. Universal has been working towards this by nicely filling out USF's and IOA's attraction rosters with beloved, well-recognized franchises (HPx2, Transformers, Minions, Springfield and now Kong in just the last 5 years), rapid hotel expansion to encourage guests to not leave the property, and now Lava Lagoon to round out the experience. But to truly compete with the Disney Vacation, there's no denying they need a third gate. 2) What's the biggest complaint about Universal? "It's not for kids like Disney is." Nintendo is probably the ONLY brand that packs a punch for that demographic that is even close to Disney, and it's made only better that Mario and friends resound throughout generations. This brand could single-handedly address this problem that has plagued Universal parks being compared to Disney parks since their opening. 3) Finally, the amount of potential Nintendo holds is incalculable - imagine a park with the unifying theme of video games, and the world-beloved Mario at the helm. Why stop at Nintendo? If Universal could scoop up a few more mature video game properties, they could have a very nicely rounded out park. Video games already clobber the film industry in terms of gross revenue, and while Super Mario Brothers, Pokemon and the rest of the Nintendo crew are the timeless staples, other brands value shouldn't be denied - imagine stepping into the blocky world of Minecraft, battling Space Invaders or running from Inky and Blinky in a retro games land, meeting Ezio in Renaissance Italy (Assassin's Creed) or "taking an arrow to the knee" in a Skyrim simulator. I think a video game themed park would be a resounding success and an incredible unifying theme. PLUS, with several video-game-inspired blockbusters on the horizon, not the least of which being Universal's own Warcraft, I think it only adds to the arguement. While I'd begrudgingly agree that it's not the most likely outcome of this, I felt compelled to point out that it shouldn't be ruled out right from the get-go. I think the most compelling, and likely outcome of this is a Nintendo-land over KidZone, used as a beta test for USJ's 2nd gate, where Nintendo holds an even stronger brand presence. Fingers crossed though, I do think there is hope for a third gate out of this yet! I'm sure Universal execs have been pulling their hair out deciding if they want to play it safe with just a land, or go all-in for their third gate - but good luck finding a better franchise to headline that gate when it finally is time to build it. May 10, 2015 at 1:07 PM · I think for nostalgia sakes, they should put something nintendo related in the blue man group building (incase if you don't know, that used to be nickelodeon studios). Kid zone is also a great area to use. For CA, they could replace shrek 4d and/or use any open space on the lower lot for a nintendo area. May 10, 2015 at 6:59 PM · Can we please all give Justin a big round-of-applause please? Best theme park theorizing I have heard in a while! Well thought out! May 11, 2015 at 1:56 PM · I so want a Resident Evil haunted mansion type ride. Maybe Capcom will give Uni the rights to create the Mansion from RE1 game.